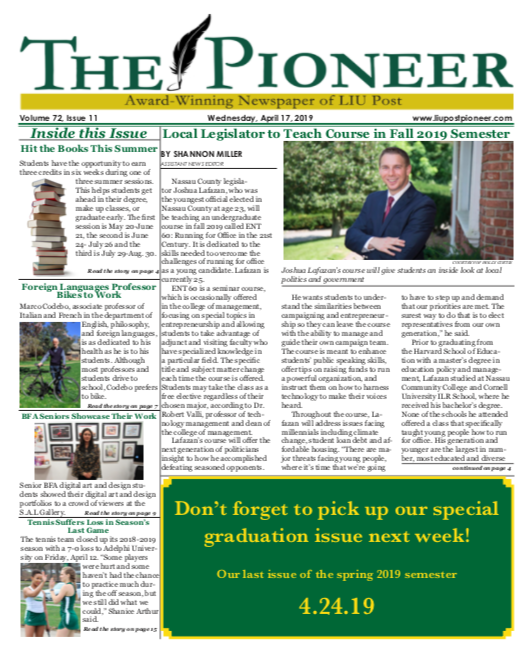 On March 1, The Pioneer published the First Amendment on the front page to show that we support free speech and a free press not only for students on this campus, but for everyone, throughout the United States. The White House’s action of denying access to a White House Press Briefing on Feb. 24 to several media outlets, including CNN, The New York Times, and Buzzfeed, undermines freedom of the press for all journalists, including student journalists. As journalism students, it is not only our duty to ensure that free speech and a free press, which include both dialogue and criticism, remain a part of this campus for the future, but also to stand up for journalists everywhere.